Our surgery center – dedicated solely to ophthalmologic procedures – was completed in 2017 and is outfitted with the latest in surgical technology. Patients can schedule their pre-op and post-op care in any of our five locations in Valdosta, Tifton, Douglas, Moultrie, or Madison, Florida. Because of the single specialty of the center, the staff can focus on providing a personalized and streamlined patient experience from beginning to end. Eye Partners provides expertise, experience, and technology to our patients in South Georgia and North Florida who would otherwise have to travel a much greater distance. Eye Partners’ team of ophthalmologists, Dr. Scott Petermann, Dr. Wes Ross, and Dr. Garrett Webster, perform iLASIK surgery and cataract surgery with LenSx® as well as other advanced eye surgeries in the surgery center. 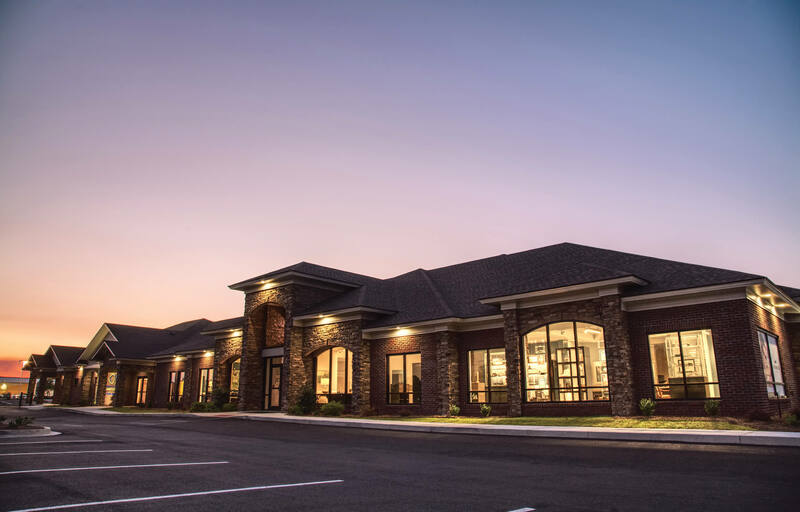 You will find the best in outpatient care at Cataract and Laser Surgery Center of South Georgia, SGNF’s state-of-the-art ambulatory surgery center. Located at 4120-B N. Valdosta Road, our facility offers a relaxed, patient-focused environment, state-of-the-art equipment, convenient access, ample public parking, and an experienced staff to meet your needs. If you have questions regarding our center, please call us at (229) 469.6287. Below you will find a typical checklist of what to expect before, during and after surgery for most patients. As always, check with your individual physician to be sure you have your personalized plan in place. Your doctor’s office will schedule your procedure. Once scheduled, a nurse from the Surgery Center will call you before your surgery date to review your health history. If you develop a fever, rash or cold the few days before your procedure, contact your doctor at once, as your procedure may need to be rescheduled. DO NOT EAT, DRINK, or CHEW anything after midnight the night before your surgery except for a sip of water with blood pressure medication. This includes gum, mints, candy and chewing tobacco. Wear loose, comfortable clothing (a short sleeved, button-down shirt is best). Leave all valuables and jewelry at home. If you wear glasses or contacts, bring a case to store them in. Please do not wear makeup, perfume or dark colored nail polish. If the patient or insurance information cannot be verified, the surgery will need to be rescheduled. If you need to make other financial arrangements or an estimate of your bill, please call (229) 469.6287 prior to your surgery day. Next, you will be taken to the pre-procedure area where a nurse will verify medical information, allergies and your current medications. The nurse will prepare you for your procedure, and an anesthesia provider will meet with you to discuss your medical history and the type of anesthesia you will have. You can expect to spend approximately 20-30 minutes in the post-anesthesia care unit, depending upon the type of anesthesia you receive. The nurses in this area will give you instructions for taking care of yourself at home. Should problems or questions arise when you are recovering at home, call your surgeon at the number provided in your discharge instructions. When we take your family member or friend in for their procedure, please remain in the Surgery Center waiting area, as many of our doctors visit with family/friends after surgery. If you must leave, inform personnel at the front desk.